Brenda was born in Melbourne, the youngest of six children in a family where music, art and other creative interests were always and still remain very dominant, professionally and amateur. She has tried many different art forms commencing with pottery, making many functional and decorative pots for the home, some of which are still in use after many years. After raising a family and finding she had more free time, she enrolled in tonal oil painting classes about 11 or 12 years ago, also attending a few workshops since then with various artists. With the information gained from these different artists she found her own personal style and increased her love of painting. Painting is a source of much pleasure for Brenda, almost an obsession, with the added benefit of it heightening her visual awareness and forcing her to notice more around her with a fresh eye each time she paints. 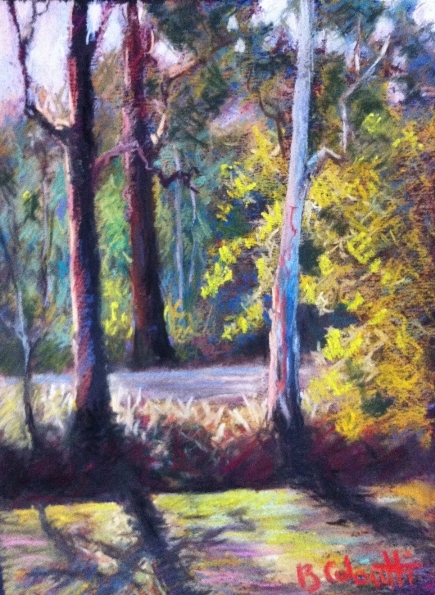 She has tried and used various mediums, but having been introduced to soft pastels in a workshop about five years ago, found this medium and the instant colour and vibrancy very exciting. 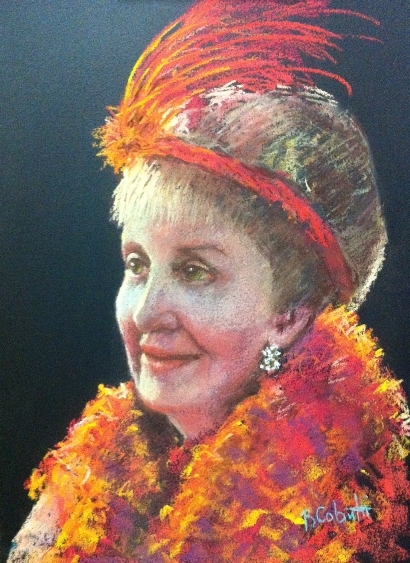 From there she joined The Pastel Society of Victoria, Australia and looks forward to their monthly meetings. 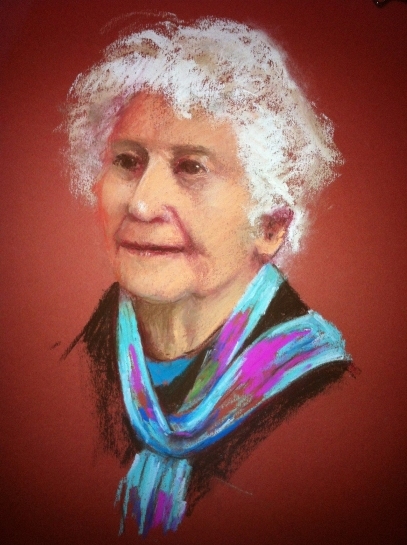 She has made many friends of like-minded artists, with the continuing benefit of education of medium, method and technique. The PSVA is a very vibrant Society with many demonstrations and information nights. Brenda’s main interest is portraiture and figurative work and when on holidays, loves to join friends plein air painting in her local area. Other interests include gardening, bonsai, mosaics and drawing.